Action Oak was launched at RHS Chelsea Flower Show 2018 by Biosecurity Minister Lord Gardiner. The Action Oak campaign to protect the nation’s iconic oak trees has been officially launched at the RHS Chelsea Flower Show 2018 by Biosecurity Minister Lord Gardiner. The campaign contributes to the Government’s 25-year Environment Plan by helping to strengthen biosecurity and build resilience to protect and enhance our precious oak trees for future generations. 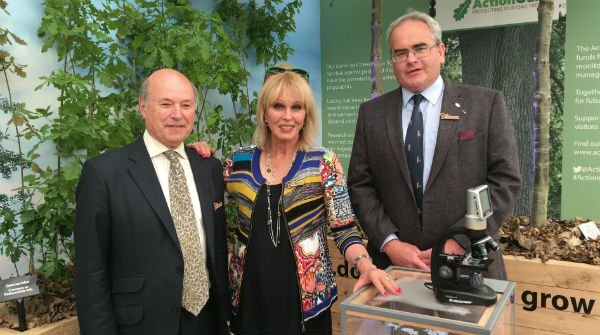 A major new campaign to protect the UK’s mighty oak trees from threats including pests and diseases has been officially launched at the 2018 Chelsea Flower Show today (Monday, 21 May) by Lord Gardiner, Defra’s Biosecurity Minister. The campaign contributes to the Government’s 25-year Environment Plan which was launched by the Prime Minister in January by helping to strengthen biosecurity and build resilience to protect and enhance oaks for future generations. It also builds on the £37 million the Government is already investing in tree and plant health research. ‘’Protecting our country from pests and diseases, so our trees and plants can thrive in the future, is a priority for this Government and we are proud to be backing this campaign. ‘’The Action Oak Partnership provides a one-off opportunity to shape the future of our oak trees and make sure they continue to have a place in our landscape. The Animal and Plant Health Agency (APHA), supported by the organisations involved in the Partnership, will have a stand at RHS Chelsea Flower show dedicated to Action Oak. At the stand visitors will be able to learn about how oak trees have shaped our history, the threats the face and how they can be protected. The JABBS Foundation, a private family charitable foundation based in Birmingham, has pledged over £565,000 towards research examining oak tree defences at the University of Birmingham for Forest Research. “The oak is our country’s most important tree, an iconic species and the provider of numerous benefits to us and our environment. "We need to take a serious look at the threats our trees and woods are facing. As we approach a post-Brexit world, we need to take opportunities to make the UK's landscape more resilient, and combat invasive pests and diseases head-on. Our shared responsibilities span from ensuring the supply of new, UK-sourced saplings to better care for our ancient trees. "We are proud to be a part of Action Oak. The oak supports an astonishing amount of wildlife, but is also an iconic part of our culture and heritage. By working together we plan to make the necessary changes to safeguard our most treasured native tree, for decades to come." “My co-Founder, Peter Goodwin, single-handedly raised £2million towards research into Acute Oak Decline (AOD) before his untimely death last year. ‘’This money has enabled so much research to have been undertaken over the last decade, but the threats to the oak go far beyond AOD, itself not yet fully understood. 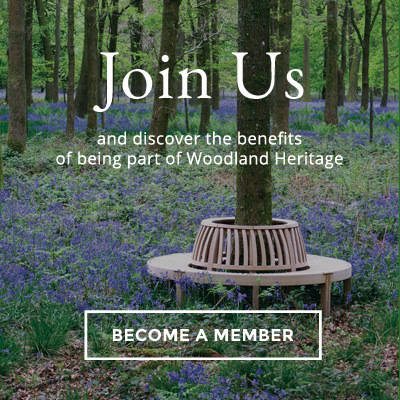 ‘’It is wonderful, therefore, for Woodland Heritage to now be part of a unique initiative that is tackling the wide range of risks the oak faces head-on, helping to ensure that the mighty oak can be enjoyed by generations to come”.